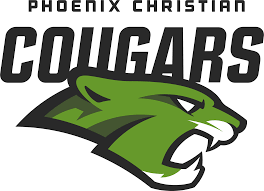 Phoenix Christian heads into the season off back-to-back state titles, but the Cougars aren’t focused on adding a third. The goal for coach Mark Band: “Build On, Work On.” That's the team’s motto. “Our goal this year is not to win the state title again because I just don’t like that kind of approach, the pressure of it all,” said Band. The focus this pre-season is to build on what the Cougars have, not to replace what they’ve lost. Despite graduating four seniors, the Cougars return four first team All-State players, including third baseman Nathan Tarver, who was named Defensive Player of the Year for Arizona in the 2A Division. He has been building off his success grinding six days a week in the off-season. Tarver and his teammates are focused on getting better now and not looking ahead. “If the chips fall right that’d be great and fun but we’re not shooting for that,” said Tarver. The team is loaded all over the board, including returners Nate Gulick, Jack Doherty and Mayson Ryhnard. “We have several guys underneath them that are just outstanding ball players,” said Band. 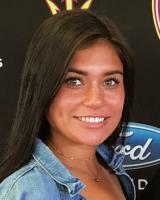 Doherty, a senior, said the Cougars have worked on team chemistry in the off-season. They’re not just a baseball team; they’re a brotherhood. “We’re one big unit,” said Doherty. Band is excited to see them grow throughout the season. On Feb. 20 Phoenix Christian hosts the annual Cougar Classic, a pre-season tournament that doesn’t count in the PowerPoint rankings but does show up on its overall record. "The whole purpose of the tournament to give us some innings and see what we need to make adjustments on,” said Band.